Tyfoonsans is a font designed by Hanneke Classen. 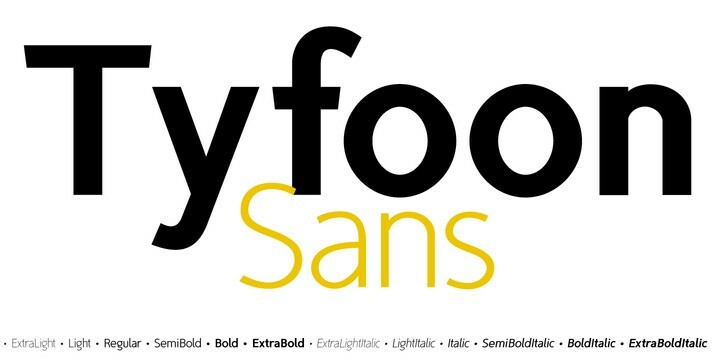 Tyfoonsans fonts is a modern font. This font is for display and was designed in 2013, and also support a lot of languages. In addition to the design possibilities of TyfoonSans, there is TyfoonScript, a handwritten family of three weights built on the same metrics. Price: from $5.40 to $160 all 12 fonts.